POWERHOME Solar, LLC is a leader in the residential solar installation space. It was ranked 7th nationall..
NGL Energy Partners LP is a publicly traded master limited partnership listed under the ticker “NGL” on the NYSE and is headquartered in..
ETP owns and operates a diversified portfolio of energy assets. ETP is also the fourth largest retailer of propane in the United States, ser..
Inergy LP’s operations include a natural gas storage business in Texas and an NGL supply logistics, transportation, and wholesale marketin.. 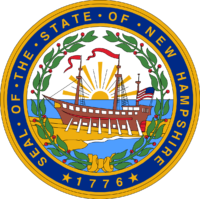 In early 2009, Cypress Associates was retained by the office of the Attorney General of New Hampshire on behalf of the State to assist it in..
ETP owns and operates a diversified portfolio of energy assets. ETP's natural gas operations include approximately 12,000 miles of natural g..
Countryside Power Income Fund enables investors to participate in the rapidly emerging market for independent power generation and utility-r..
Williams is a domestic leader in finding, producing, gathering, processing and transporting natural gas. Williams’ operations are concentr..
Countryside Power Income Fund is an unincorporated, open-ended limited purpose trust formed to invest indirectly in biogas projects and dist..
Orion suffered a major explosion and fire in early 2003. The resulting damages and business interruption losses totaled more than $150 milli..
Cypress Associates LLC advised on the acquisition of and financing for certain power generation assets from Conectiv..